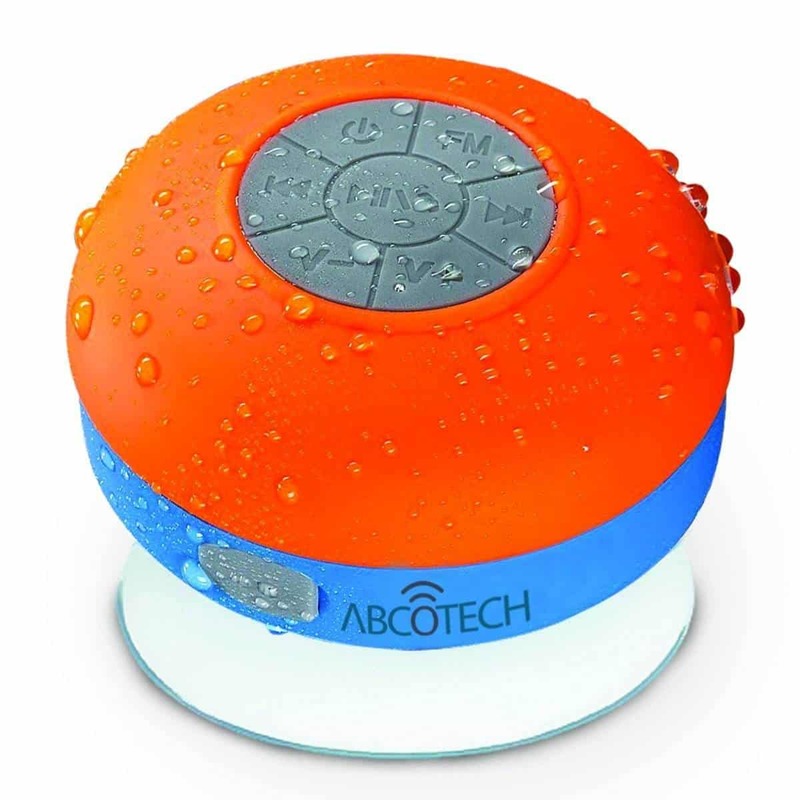 Check out our list of cool tech gadgets you can enjoy even if you’re not the techie type! You don’t have to be tech-savvy just to enjoy a couple of good pictures, right? Everybody loves taking snapshots, be it on their smartphone, GoPro, or digital camera. Make the snapshot even more special by taking it on a Fujifilm Instax Mini 9, and watch in awe as it’s printed right before your eyes. If you’d still rather take your snaps on your phone, but would love to have a hard copy of it fast, then this HP Sprocket portable photo printer is a great option! It’s small enough that you can carry it anywhere, plus it doesn’t use ink so there’s no need for a constant refill. Now, your camera photos can be easily put in scrapbooks or on photo walls. Feel like you could use a really good backup singer as you sing in the shower, but afraid to bring your phone because it might get wet? In that case, a Bluetooth shower speaker will be perfect for you! Simply connect your phone to the speaker via Bluetooth while you play music on your phone. It’s totally waterproof so you won’t have to worry about it getting damaged in the tub. This speaker brings your bathroom concert to a whole new level! Even if you’re not the type to keep up with the latest technologies, there’s a slight chance you’ll really fall in love with the new PS4 Pro. This is perfect for those who already have a 4K television, as it would really bring gaming to life. Imagine, how HDR technology can bring out the colors to make you feel you’re practically in the game even if it’s not in VR mode! This would make a perfect entertainment tech present for anyone who wants to get their toes into gaming. It could even be the perfect treat for yourself to help you relax after a long day. Is the socket too high or too far away? Ever wished you had an extra long charging cable? If you’ve answered “yes” to both questions, you should definitely check out Just Mobile’s AluCable. 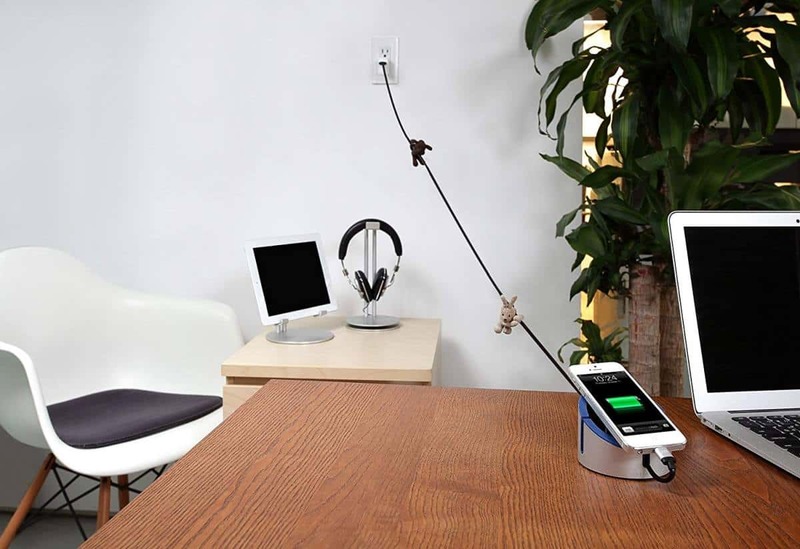 It’s a staggering five feet long so your phone or device can be charged safely wherever it is. Note: This cable is only compatible with devices that support Lightning connection. Are you a photography enthusiast? Ever wish a DSLR camera wasn’t so bulky so you can bring it with you anytime and anywhere? A lot of great sceneries and subjects show up randomly, and those funny, candid, or priceless moments happen when we least expect them. You can be walking or riding a bus when you see a view or moment you want to capture. For moments like these, the Xenovo pro clip-on lens kit for your phone will come in handy. Now, you can capture pro-like shots even with just your mobile phone. Do you remember the era of the Nintendo Game Boy? You know, portable games with a built-in keypad specifically for gaming, but without the backlight? Don’t you just miss playing with it? 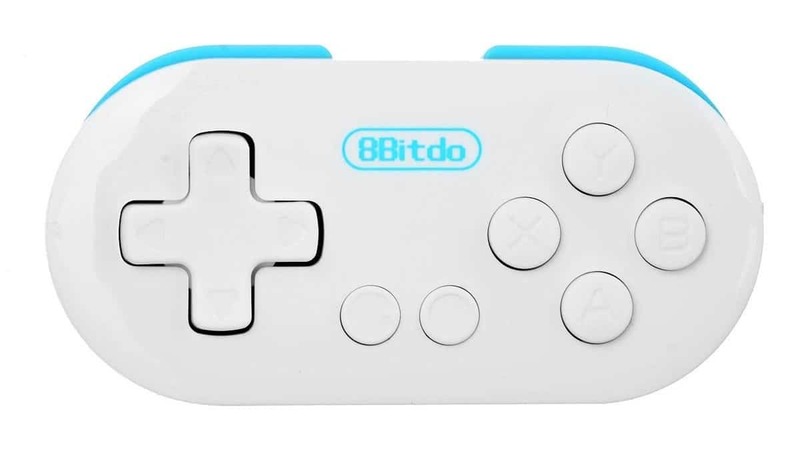 Well, you may not miss the missing backlight, but if you want to bring your game on with the gaming keypad, then the 8BitDo Zero wireless game controller is definitely for you! It connects to modern gadgets via Bluetooth to give you the ultimate retro gaming experience. Now, this tiny action camera may seem a little tricky to figure out. But don’t let its sophisticated look fool you, it’s totally user-friendly even for the non-techy. The Go Pro is the perfect travel buddy to document all your adventures. The Go Pro Hero 6 is already waterproof so you don’t have to keep it in the case whenever you go swimming or scuba diving. The latest version of the Go Pro has 4K60 and 1080p240 videos, which offers the best quality among all Go Pro models. Plus, it has advanced stabilization to ensure smooth footage. Here’s a great buy for all you bibliophiles out there! Instead of dragging a set of paperbacks (or worse, hardbound) books when you go out or travel, why not just download them on an e-reader? This way you can have all the books you could possibly want without breaking your back or shoulder. 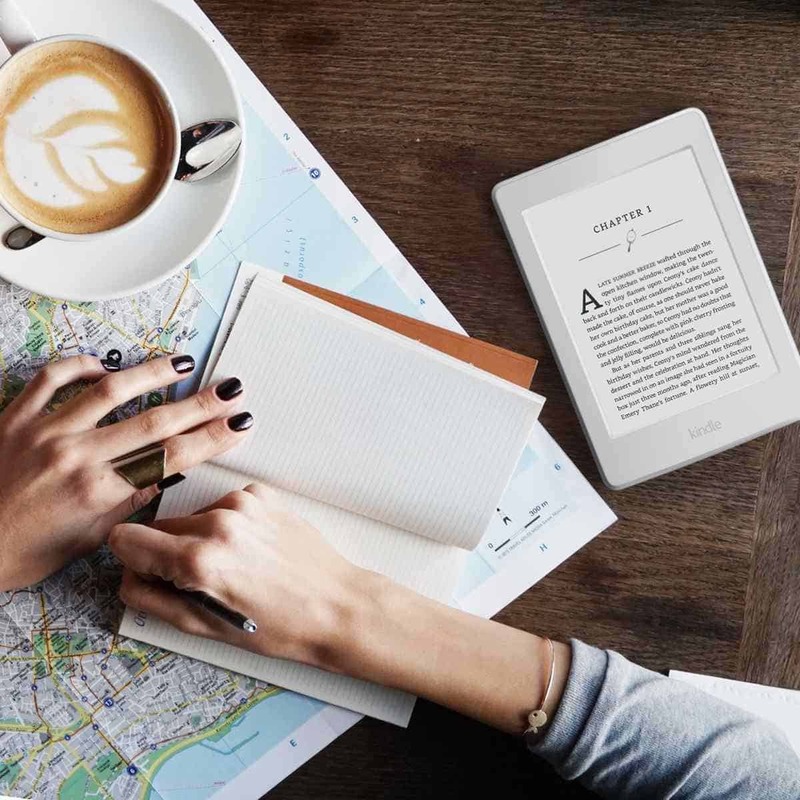 With all the choices for e-readers now available out there, why should you choose the Kindle Paperwhite? For starters, it prevents glare so you can keep reading with ease even in brightly-lit places. The battery also lasts for days so you won’t have to keep charging it every so often. No cable subscription? No problem! They’ve become so old school nowadays anyway. In the era of Netflix, YouTube, Hulu, and a ton of other streaming applications, you don’t really need a cable subscription to watch great movies or series. Just when you thought it couldn’t get better, the Fire TV stick takes binge-watching up a new level. 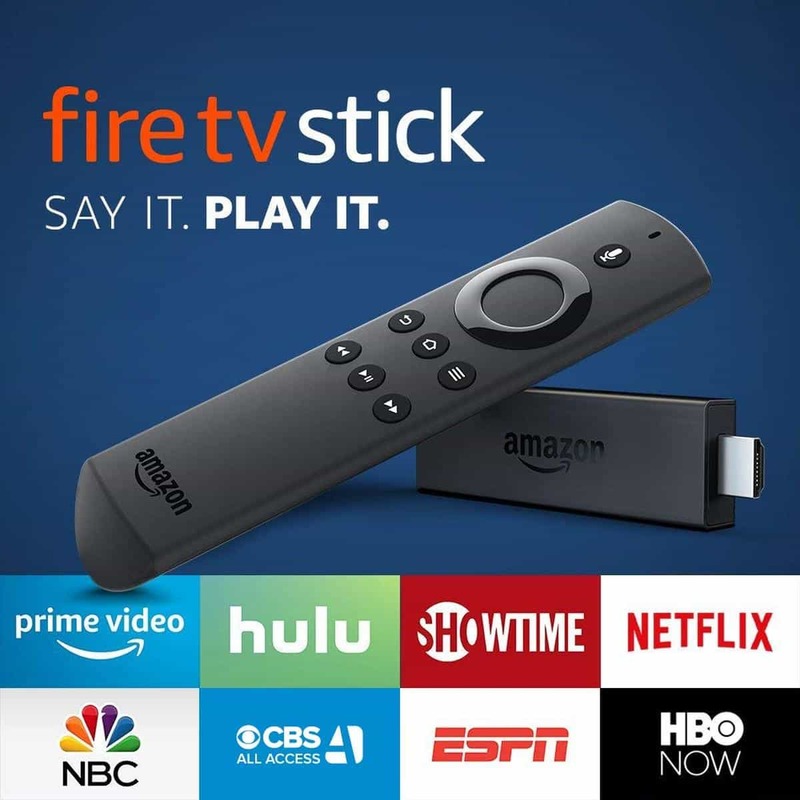 The Fire TV stick streams your favorite shows from various streaming sites. All you have to do is plug it into your television set and get connected to Wi-Fi and you’re good to go! A bonus — it comes with an Alexa-enabled remote so you can simply ask her to change the shows for you. Perfect for people who can’t navigate their way around all the new-fangled technology. What if you could have a computer assistant who can tell you everything you need to know? It’s not impossible anymore! 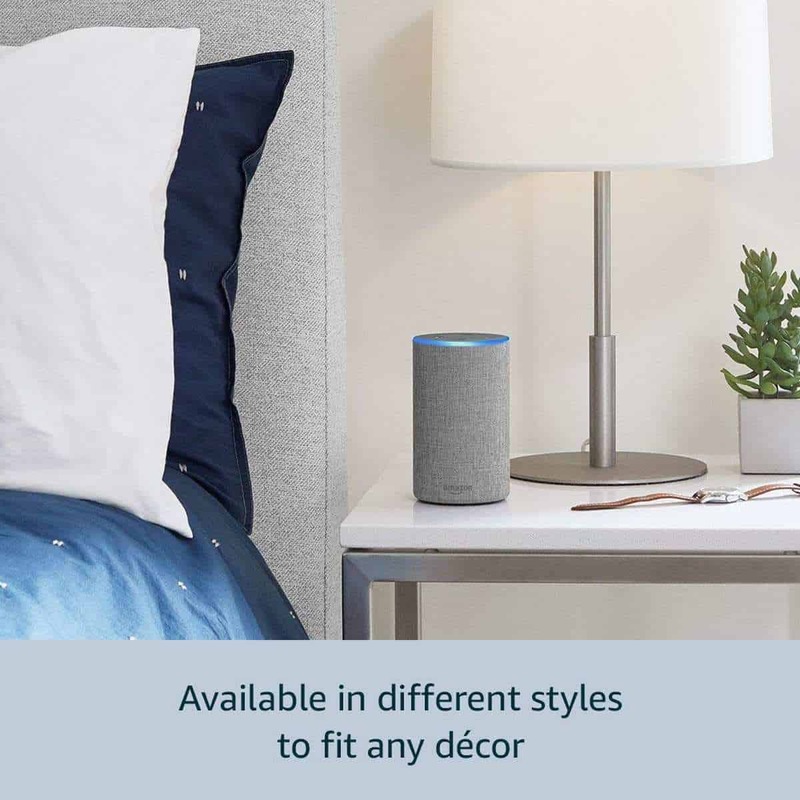 If your parents or grandparents would love to enjoy the wonders that technology brings nowadays, but still have trouble finding their way around it, then the Amazon Echo would make a perfect gift. All you have to do is plug it in, connect it to a Wi-Fi or Bluetooth, then you can ask it anything! It already comes fitted with Alexa, Amazon’s virtual assistant, so all they have to do after setting it up is to ask away. How much simpler can that get, right? You don’t have to be tech-savvy to enjoy the latest cool tech gadgets available now. There are a ton of tech products that are user-friendly and you’ll find enjoyable to use. It’s just a matter of finding the right product that fits you. We hope this guide has helped you find some ideas for tech gadgets to get the non-techie in your life. What other entertaining gadgets do you love and recommend? Let us know in the comments section! Is The Furbo Dog Camera As Smart As They Say It Is? Location Tracking On Smartphones: How Does It Work?